OVERVIEW - Click Here to go to a separate site to view more information on our amazing subdivision! WE HAVE A NEW GARBAGE SERVICE!! In an effort to ruduce the wear and tear on our roads and provide our homeowners with the most valuable service at the best price, we have negotiated a great price for garbage service for WOW Homeowners! GROOT is the only authorized service provider for the Woods of Wayne homeowners. If you are new to the subdivision, please contact them today to set up your service and be sure to mention that you are part of the Wood of Wayne contract to get the negotiated rates. We are a private estate community with pride and serenity! Woods of Wayne is a private community annexed into the Village of Wayne. The streets and parks are private and are governed by a Homeowners Association. The terrain is rolling and wooded and includes three stocked lakes. 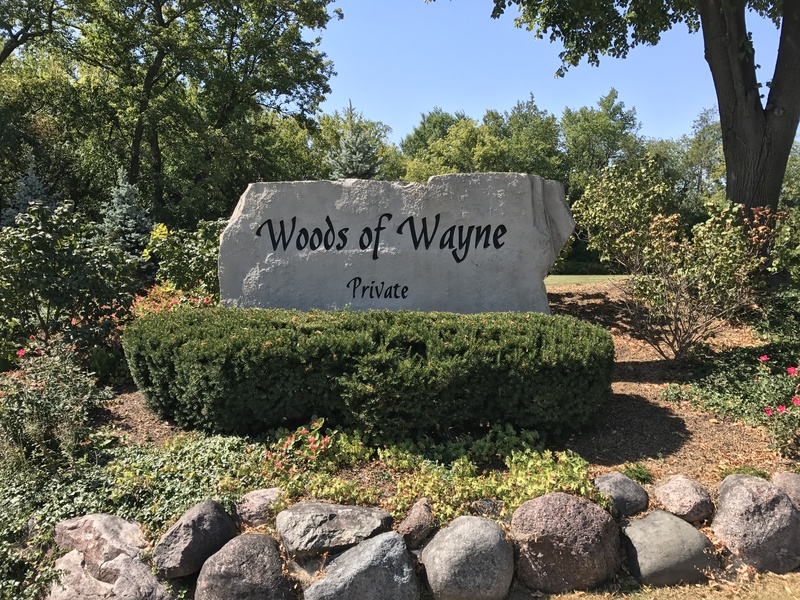 The Woods of Wayne's exceptional country atmosphere is nicely situated in the quiet corner of the Chicagoland area and in the heart of horse country. With 168 acres of additional acquired Forest Preserve just to the south and several hundred acres nearby. The Woods of Wayne provides the serenity that we deserve. The Woods of Wayne is a 154-acre picturesque country development consisting of 112 custom home sites. There are 104 sites of varying size but all in excess of 40,000 square feet and 8 mini estates, all in excess of 100,000 square feet (approximately 2.5 acres). The Woods of Wayne is located on the Northwest corner of Smith Road and Route 59. The location offers easy accessibility to I-88 by following Route 59 South. The Woods of Wayne is conveniently located near Bartlett and Wheaton in Dupage County and the growing communities of Geneva and St.Charles in Kane County, The Fox River Valley. Commuter service is provided by Chicago and Northwestern Railway lines. The Woods of Wayne provides an estate type atmosphere of luxury homes and the quiet environment of a country village. The surrounding area provides many delightful advantages for equestrians, numerous golf courses, shopping, dinning and a safe community to raise and enjoy your family with pride.